Few characters in the lore and story of Blizzard’s World of Warcraft are as known as the infamous anti-hero Illidan Stormrage. Perhaps only the Lich King himself can gather a greater following of loyal fans. 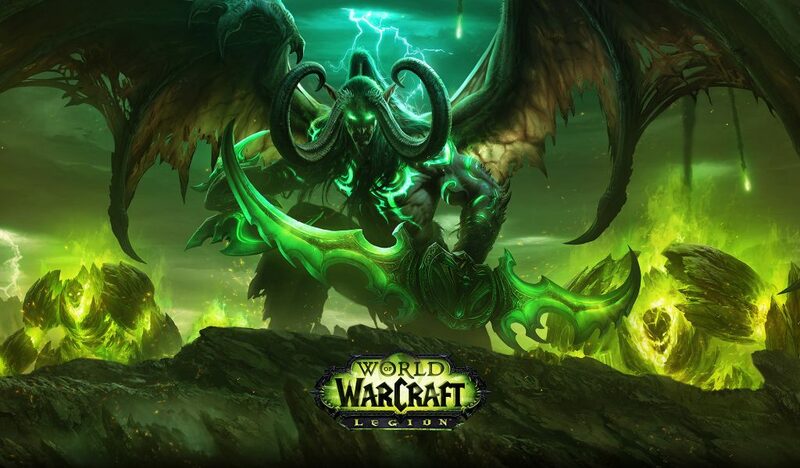 Illidan for those that do not know yet is a night elf born Demon Hunter and the founder of the Illidari. He became “neither night elf nor demon, but something more” turning away from his brother and night elf family. Once an unusually gifted sorcerer, the extent of his powers became difficult to classify due to his powers increasing in large bursts as a Demon Hunter and his having absorbed the powers of the dangerous fel power like the Skull of Gul’dan. With this in mind just remember that he was one serious badass in the game and you had to seriously know what you are doing before you can kill him. He is famous for his one liner he spoke in the intro video to the second expansion for World of Warcraft called The Burning Crusade. See the video below (Skip to the 2:20 mark if you are in a hurry). You don’t have to do it alone – This is the first thing I learned. I can’t do this on my own. I need help. I got in touch with fellow gamers and friends that were also playing and we (you guessed it) started a guild. A group that teams together to tackle difficult challenges. So often in life we try to go through life’s biggest challenges alone but we forget that we can ask for help. Don’t take a knife to a gun fight – You need to at least know a little bit what you are heading into. What’s the particulars of the challenge? Climbing Everest? Then you are going to need climbing gear. Doing a 25-man mythic Siege of Ogrimmar? You are going to need a tank. Study the problem and become knowledgeable on the bosses and their phases and weaknesses. Know your enemy. That’s all. Once you have a clear idea of what the problem looks like the next steps in how to prepare will reveal itself. Dedicate time – Nothing comes easy and no matter what achievement you are trying to … achieve it will take time. Give yourself time. Dedicate certain times during the day where you are purely and exclusively focused on this task. Sunday night raid night right? If you are working towards a health goal like losing weight then it’s not going to happen without sufficient time dedicated to working on losing weight. Decide how much time you can allocate a week and be relentless with it. Expect chaos & failure – Chances are you will encounter initial failure or a complete state of chaos. Things can get pretty messy in a raid and when people start shouting at one another things get very unproductive. Expect this and recognize then the chaos and failure happens and learn from it. Fail forward as they say. You learn from your failure by identifying the mistakes made and try not to repeat them. I now know I am more prepared not only for major raiding bosses but life challenges as well. This is part of a “life lessons learnt in World of Warcraft series I am busy with. For other posts and lessons learnt click here.